I didn’t go to KCON LA this year and it almost killed me to miss the second night’s lineup. SO MANY ARTISTS I LOVE. But what really stung was that IMFACT performed their new release prior to the MV coming out. I watched the video from Kcon, but those folks in the room got to see it LIVE. Shiver. I’m going to give you all the opportunity to experience this fantastic progression of events in the same fashion I did…first the live performance and then the official MV. Because I’m nice. Ish. 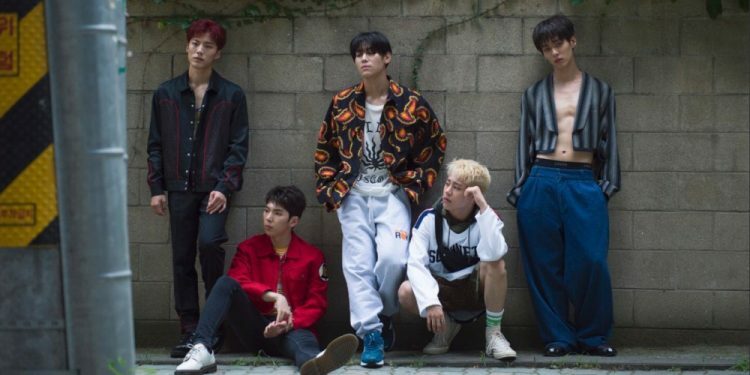 I’ve written about IMFACT on the blog before and as I feel very sure that their star is rising, I just want to take the opportunity and platform to say that I’ve been a fan since way back. But I want everyone else to come into the fold. The only one I know that has loved them longer is KpopontheDL and she’s the master of catching the talent just as they come out of the gate. I rely on her for that particular skill set and she’s the one that introduced me to this group. The last time I wrote about this group was just before the show The Unit started. I was hoping that the fact that several members of the group were participating would be enough to push them a little further into the spotlight. It turns out that three of the members made the show and though all did well, one in particular just missing the cutoff for the final group. He performed splendidly and they all increased their individual and, as a result, the group’s fan base. For IMFACT, this show intended to help already debuted artists shine a little brighter, worked. I am so pleased. Now I have to watch the show. The new song, NANANA, follows the trend in Kpop into house music with some EDM elements. It’s a moody dance song that uses their vocalists and rappers specific skill sets very well. From the opening line straight through, I’m pretty sold on the song. The styling, as with most comebacks this year, is spot on. The members look fantastic in a kind of updated 90’s look. There’s lots of acid wash, asymmetrical lines, bandanas, and bare chests. The hair, oh the hair…it’s all good…and even though it’s me talking, you can trust that it’s actually good. Not bad good. Shhh…..I don’t want to embarrass anyone, but that guy forgot to wear a shirt.